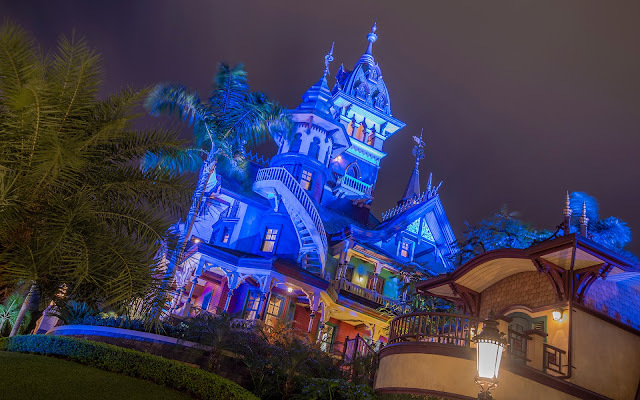 Mystic Manor is Hong Kong's more playful answer to the Haunted Mansion attractions across the globe. 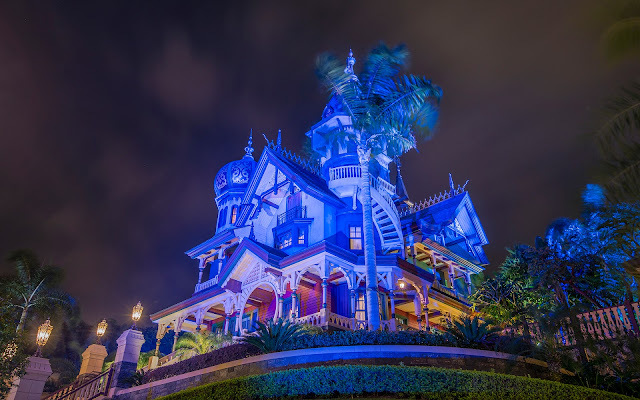 But instead of a house of ghosts, this features a manor full of enchanted artifacts brought to life by a curious and irascible but adorable monkey. From the outside, the estate is curious, not creepy. There's a bit of a Winchester Mystery House to it, mixed with Queen Anne Victorian architecture and even a bit of Russian onion dome styling. Though it's bathed in purple at night, the impression is meant to be one of mystery, not that much macabre. And also magnificent, because Mystic Manor is (in my opinion) the best Disney ride there is!